This entry was posted on Saturday, October 22nd, 2011 at 14:28 and is filed under Business, Crony Capitalism, Economics, News, Politics. It simply doesn’t seem possible, and yet here it is, right in front of us: Our own Federal Reserve under the direction of Ben Bernanke is pushing for a policy that will leave American tax-payers on the hook for tens of trillions of dollars in liabilities. 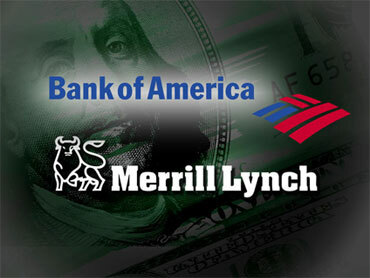 European derivatives for Bank of America in its Merrill investment banking unit are being shifted to the depository arm and this is insured under FDIC, your Federal Deposit Insurance Corporation. That’s right, this is going to be a gigantic crisis when Europe finally implodes, and with Greece now needing a 60% write-down on its bonds, you must know that calamity is right around the corner. What’s worse is that it is now revealed that this will be hidden from you in part due to Dodd-Frank, the “financial reform” law that Congress passed in 2010. Ladies and gentlemen, our country is being systematically destroyed. These obligations are the financial form of a dirty bomb planted in the US Treasury, and it will destroy us. This is insanity. It also turns out JP Morgan is doing much the same thing. We’re talking about trillions of dollars in redistribution of tax-payer wealth to private global banking interests. This is setting the stage for the mother of all bail-outs. I can’t believe that this is being done, or that anybody thinks this is a prudent plan. It’s as though the American tax-payer is being robbed at gunpoint without knowing it. This is the one thing about which Ron Paul is consistently correct: The power of the Federal Reserve system must be curtailed if not eliminated entirely. We simply can’t afford any more of this. It has the potential for destroying us. Our political leaders must stand against this, but in too many cases, they’re part of the problem because they’ve enabled much of this. We need a return to a sound monetary system, and those who think it should be tied to the other currencies of the globe are out of their minds. Of course, they want that for the same reason this is being done: To offer themselves protection. Ladies and gentlemen, we’re looking at a possible, or even probably catastrophe here, and other than just a rare few media outlets, nobody is telling you about it. You should begin to wonder why they’re not. Know what Licoln and Kennedy had in common? They both wanted to close shop on the Federal Reserve. I think you know what else they had in common……. Kelly, the Federal reserve was established in 1913. Well, it goes further back… just a different name. You Markey Mark, I think Kells kinda ran the Fed into the idea of central banking. Lincoln did fight against banks trying to set up further shop at the beginning of the Civil War with his green back act. He did fight against central banking back then just as JFK did a few decades ago. I realize that, but with all due respect to you and Kells, I figured it might be better to point out the facts. Thanks for adding to the effort. The single most important issue that we as Americans face right now is economic and monetary policy in the United States. The end-game of fiat failure will ensue if we do not restore sanity to Washington immediately. We must all realize that The Federal Reserve is our enemy . End the Fed. Our sovereignty is in peril. "The central bank is an institution of the most deadly hostility existing against the Principles and form of our Constitution. I am an Enemy to all banks discounting bills or notes for anything but Coin. If the American People allow private banks to control the issuance of their currency, first by inflation and then by deflation, the banks and corporations that will grow up around them will deprive the People of all their Property until their Children will wake up homeless on the continent their Fathers conquered." Like I said America is about ready to fall, and with the past leaders in Washington along with the ones whoare there now will do nothing to stop this..its time that the Government goes down as we know it, we cannot continue this way,,when it falls there are going to be millions and millions of true American patriots who have had enough and these fools who have done this to us will pay dearly. And with Gods Grace and with Gods help we willrebuild America again to one nation under God..without these parasites…methinks Sarah is well aware of this Mark. Methinks Sarah is well aware of this, too. Methinks she's also very aware of how women (Ferrara, Clinton, Palin, Bachman) are vilified by the media when running. Is it coincidental that they're given SECRETARY of State positions? One day, a woman will find that elusive phone booth and save the world!